Administrative Law Judge (ALJ) Gary A. Geren, Office of Administrative Hearings, Special Education Division, State of California (OAH), heard this matter on October 11 and 12 and November 1 and 2, 2011, in Cupertino, California. Student (Student) was represented by his Father (Father). Student’s Mother (Mother) was present for most of the hearing. Cupertino Union School District (District) was represented by Rodney Levin, attorney at law. Present on behalf of District was Shelly Ota, coordinator of special education, and Jennifer Keicher, director of special education. On September 6, 2011, Student filed a second amended complaint and the matter was timely set for hearing. At the close of the hearing, the matter was continued until November 18, 2011, to allow the parties to file closing briefs. The briefs were timely filed and the matter was submitted on November 18, 2011. Student’s brief was added to the record and marked for identification as Student’s Exhibit 18. District’s brief was added to the record marked for identification as District’s Exhibit 25. Issue No. 1: Whether District denied Student a free appropriate public education (FAPE) because his individualized education programs (IEPs) dated February 28, April 27, and June 2, 2011, failed to provide him with a one-to-one aide to supervise his safety? Issue No. 3: Whether Student’s April 27, 2011 IEP denied him a FAPE because it failed to offer sufficient ABA services? Student requests OAH issue an order directing Student to be placed in a non-public agency autism program at District’s expense. Student contends he was denied a FAPE because his IEPs failed to provide a dedicated one-to-one aide to supervise Student at all times, so as to ensure for his safety. Student contends that he was inappropriately supervised, and that his safety was put at risk. Student also contends that his IEPs were inappropriate because the goals contained therein were not based on accurate assessment data and present levels of performance. Lastly, Student contends that he was denied a FAPE because he was given insufficient and inappropriate ABA interventions. District’s contentions are that all of Student’s needs were appropriately assessed and identified; his safety was not in jeopardy; his goals were appropriate; and he received sufficient and appropriate ABA interventions, thus receiving a FAPE. 1 ABA principles include, but are not limited to, providing students with clear expectations, clear communication, positive reinforcement for appropriate behavior, and appropriate consequences for inappropriate behavior. 2 For the sake of clarity, these issues have been restated differently than how they were set forth in the Order Following PHC. The issues will be discussed, generally, as they relate to the IEP team meetings of February 28, April 27, and June 2, 2011, and the resulting IEP offers. 1. 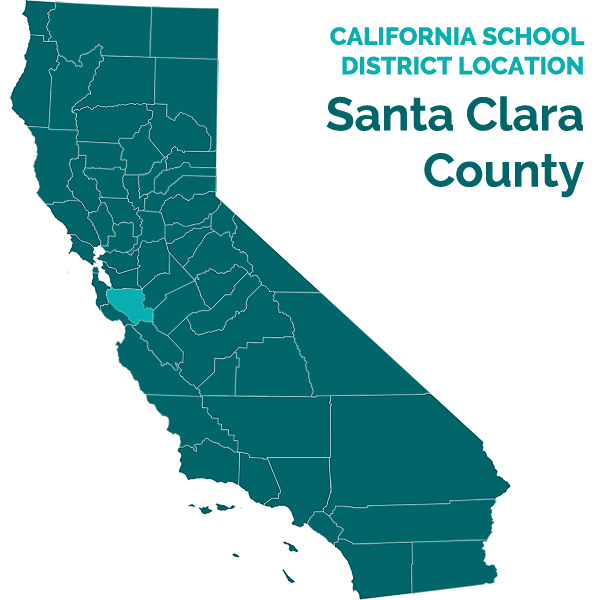 Student resided within the jurisdictional boundaries of the District at all times relevant to this decision. Student is a nine-year-old boy, who moved with his family from India to Cupertino, California, in December 2010. Student first enrolled in District in mid-December 2010. At that time, Parents gave District medical records showing Student is a child diagnosed with Autistic disorder.3 English and Kannada are the languages spoken in Student’s home. No contentions were raised in the pleadings, or hearing, that any of Student’s educational struggles are related to a language barrier. Both parents testified in this matter and spoke English fluently. 2. District placed Student in an administrative placement at Eisenhower Elementary School (Eisenhower), in the moderate to severely handicapped special day class (SDC), pending the completion of Student’s initial special education assessment. During this time, Student received speech and language consultation, occupational therapy and consultation, and transportation to and from school. Parents agreed with District that Student’s administrative placement at Eisenhower was appropriate. 3. In developing an IEP, a district must assess a student in all areas of suspected disability and identify the Student’s unique needs. To this end, District developed an assessment plan that Parents signed. District completed the following: academic achievement assessment report; health assessment; psychological-educational assessment; occupational therapy assessment; and a speech and language assessment. 4. Students with disabilities have a right to receive a FAPE. A FAPE is provided when a district provides a student with special education and related services reasonably calculated to provide some meaningful educational benefit. The law does not require school districts to provide the best education available or to provide instruction or services that maximize a student’s abilities. Rather, school districts must provide a basic floor of opportunity that consists of access to specialized instruction and related services, individually designed to provide educational benefit. In determining whether a district offered a FAPE, the focus of the inquiry is on the adequacy of the proposed program and the related services. If those address a student’s needs and are reasonably calculated to provide some educational benefit, then the offer constitutes a FAPE, even if parents prefer a different program or service that would likely result in greater educational benefit to the student. An IEP must include services, supplementary aids, modifications, or support that will allow the student to advance appropriately toward attaining his annual goals and make progress in the general education curriculum. 3 The record contains 29 pages of medical records pertaining to Student. While these records were prepared while Student resided in India, they are all written in English, including physicians’ notes. 5. On February 28, 2011, District held Student’s initial IEP team meeting. The meeting was attended by Parents; Milie Sheth (District’s psychologist); Jessica Geldore District’s (special education teacher); and Smita Chandru (District’s occupational therapist).4 Prior to the meeting, Parents were given the assessment reports and a draft version of a proposed IEP. At the meeting, the IEP team reviewed the assessment data and determined Student was eligible to receive special education and related services under the category of Autistic-like Behaviors, and secondarily under the category of Intellectual Disability. 6. Ms. Geldore was Student’s teacher at Eisenhower during his administrative placement and she facilitated the IEP team meeting. Her testimony established that Student’s then-present levels of performance, areas of need, eligibility criteria, special factors, assessment data, supports, modifications, and annual goals, were thoroughly discussed at the meeting. 7. The Psychological-Educational Assessment Report showed that Student was administered the Kaufman Assessment Battery for Children 2nd Edition (KAPC II), which is designed to assess processing and cognitive abilities. Testing was attempted in five nonverbal sub-tests. The sub-tests include, conceptual thinking, story completion, triangles, pattern reasoning, and hand movements. The conceptual thinking sub-test asked Student to identify a picture that does not belong in a set of pictures. Student was unable to complete this task. In fact, Student was unable to complete any of these sub-tests. Skills necessary for successful academic and intellectual functioning such as perception, concept development, number relations, reasoning, memory, classification, and time concepts. Interpersonal relationships, social-emotional understanding, and functional performance in social situations. The Psychological-Educational Assessment Report looked at all test results and concludes Student’s cognitive function to be immeasurable. 4At hearing, Student raised the issue that a procedural violation occurred because one of the IEP team members was not present at this meeting. This contention lacked merit because Parents signed an Excusal of Non-attendance for excusing Shonia Porter, speech and language therapist. Ms. Porter met with Parents the following day and she had given her report to Parents and other IEP members prior to the February 28, 2011 meeting. Because Parents excused Ms. Porter’s attendance, no procedural violation was committed by District. 9. Student’s 25-page IEP developed at this meeting is comprehensive and detailed, and supports Ms. Geldore’s testimony that Student was thoroughly assessed and his needs accurately identified, and that the IEP was appropriate to meet Student’s needs. The IEP contains thirteen goals covering English language development, math, self-help, behavior, expressive language, receptive language, reading, fine motor skills, and articulation. Under this IEP, Student was to spend 360 minutes per week in Ms. Geldore’s SDC; 30 minutes, two times per week, in a regular classroom; and 30 minutes per week receiving occupational therapy. ABA-based principles were to be utilized throughout Student’s school day, including one-to-one instruction in each of Student’s academic areas. 10. The notes from the February 28, 2011 IEP team meeting show Parents were active members of the team and were, generally, pleased with District’s assessments of Student. Ms. Geldore testified that Father stated at the meeting, “You have only had my son for two months, but you know him.” At the end of the meeting, Parents signed the IEP agreeing to the implementation of the goals and objectives set forth therein. Ms. Geldore credibly testified that Parents did not express any disagreement or concern with the appropriateness of any of the goals. Student now contends the IEP was not appropriately developed because it did not provide for a dedicated one-to-one aide to care for his safety. 11. Student’s concern for his safety is based on three assertions: That Student “elopes” (walks or runs away), requiring him to be supervised at all times by a one-to-one aide; that Student was inadequately supervised under the IEP as evidenced by an occasion when he returned home from school and Parents found bits of a hamburger contained in his backpack; and that Student has been inadequately supervised under the IEP because he becomes messy after eating jelly sandwiches. I just want to let you know that [Student] went to the Maywood Park during recess. He runs fast which is one thing to be mindful about. I was not this aware that he is capable of running fast. 13. Ms. Geldore’s email informed Parents that Student’s running abilities were superior to what had been observed and reported previously. The email did not, as Parents claim, show Student was in danger of eloping, or that District was struggling to provide Student with a safe environment. Ms. Geldore and Romilda Nadhan, an aide who witnessed the incident, explained at hearing that the incident occurred while Student was walking from one classroom to another, accompanied by classroom staff including Ms. Nadhan and Ms. Geldore, when Student saw children playing on a swing in a park adjoining the campus. The park is next to the campus. Student ran approximately 30 to 35 yards towards the park before responding to Ms. Nadhan’s command to stop. Student stopped running and turned to face Ms. Nadhan, who made a hand gesture for Student to return to the group, and Student complied. Ms. Geldore’s and Ms. Nadhan’s accountings of this incident were not seriously disputed at hearing, and no evidence was presented that contradicted their testimony about the April 12, 2011 incident. 14. Ms. Geldore, who by the time of the development of the initial IEP team meeting had observed Student in her classroom for approximately nine weeks, persuasively testified she had not observed situations in which she believed Student’s safety was at risk because of the danger of eloping. The incident described above was the only occasion on which Student ran away, and Ms. Geldore established that if necessary she or any of the classroom aides could have caught the Student because they can run faster than Student, whose motor deficits limit his speed. While parents’ concern about this incident is understandable, the evidence does not show a pattern of more serious occurrences that placed Student’s safety at risk. Weighing all of the evidence, and giving serious consideration to Parents’ concern for Student’s safety, this incident does not support his contention that he needed a one-to-one aide to provide for his safety. 15. Similarly the incident involving pieces of a hamburger was caused by a student in the SDC who, according to Ms. Geldore, was “having a bad day.” In the student’s frustration, she threw a partially eaten hamburger. Classroom staff picked the hamburger up, but apparently some of it ended up in Student’s partially opened backpack, which staff overlooked and failed to remove. This evidence, however, does not support a finding Student was being inadequately supervised, or that his safety was in jeopardy because he was not provided a one-to-one aide. 16. Lastly, it is undisputed that Student becomes messy while eating jelly sandwiches. The testimony of Ms. Geldore and her staff established that jelly does not get on Student’s clothes because he is being unsafely supervised (they attempt to keep Student as clean as possible) but because it is impossible to keep Student clean while he is eating. Furthermore, District sent an email to Parents suggesting how Student’s lunch might be more appropriately packaged, such as providing him with jelly in a container, so that Student could dip his bread into the jelly. District attempted to redress the problem of Student becoming messy to the extent practicable, and in any event, the occurrences of these incidents do not provide evidence of a safety concern, particularly one requiring the assignment of a one-toone aide. 17. Ms. Geldore credibly testified that “classroom safety is her highest priority,” and she did not perceive any safety issues with Student, before or after the development of this IEP. The evidence showed that Student was never endangered while in Ms. Geldore’s class, or at any other time while he was at school. Accordingly, Student failed to meet his burden to prove that a one-to-one aide was necessary to meet his safety needs. 18. Student also contends the February 28, 2011 IEP contained inappropriate goals. Each of Student’s goals was developed following the comprehensive battery of assessments and observations discussed above. Ms. Geldore personally drafted the goals, except for those in the areas of speech and language and occupational therapy.5 She persuasively testified that Student’s goals were appropriately developed in light of Student’s then-present levels of performance as shown by the assessment data, by Parent’s input (which at the meeting, included demonstrations of Student’s behaviors and abilities), and her nine weeks of daily, in-class observations. 19. Similarly, Ms. Porter credibly testified that the goals she drafted in the areas of expressive language, articulation, and receptive language, were appropriate to meet Student’s needs based on her speech and language assessment data, her classroom observations of Student and the input she received from Parents. The accuracy and thoroughness of Ms. Porter’s assessment was not seriously disputed at hearing. Given 2 colors and shapes, Student will be able to identify 6 basic colors (red, orange, yellow, green, blue and purple) and 5 basic shapes (circle, square, triangle, rectangle and diamond) by pointing or giving to staff when asked to point or give the desired color/shape with 70 percent accuracy on 4/5 trial days as recorded by staff. [Student] will increase auditory comprehension skills by pointing to 20 new classroom related picture icons, after being verbally presented the words in English, with no more than two prompts and cues, in 8 to 10 opportunities, during three speech sessions. With no more than one prompt, [Student] will follow two-step commands during classroom routines with 80 percent accuracy as measured by the data. 5 At hearing, Student stipulated that he is not challenging the appropriateness of the occupational therapy goals. 21. Essentially, Student contends that these goals were inappropriate only because they did not provide an effective alternative means of communication, such as allowing Student to use an iPad. The uncontroverted testimony at hearing was that Student; in fact, was provided an iPad to use. However, Student lacked the dexterity and/or cognitive ability to use it. Accordingly, classroom personnel accurately concluded Student could better use the Picture Exchange Communications (PECS) system to communicate his needs. In addition to PECS, Student was provided with visual aids, such as visual schedules and choice boards. Ms. Geldore established that Student accurately used these tools to meet his communication needs, such as when he needed to use the bathroom, by pointing to the appropriate icon. 22. Uncontroverted testimony from Student’s current teacher, Vickie Broumas, established that Student made good progress on his expressive language goal and that he recently began to make three word utterances, despite his being essentially nonverbal at the time of his enrollment in the District. Ms. Broumas testified that Student was either meeting, or would meet, the short-term objectives contained in nearly all of Student’s goals. Her testimony was supported by the progress notes contained in Student’s subsequent IEPs. 23. Also, Ms. Porter credibly testified Student made meaningful progress towards the language goals she drafted. Her testimony was not seriously disputed at hearing, and is borne out by the documentary evidence as well. 24. Student failed to meet his burden to show that District’s witnesses’ testimony regarding Student making appropriate progress on each of his goals was inaccurate, or otherwise in error. Accordingly, the balance of the evidence supports that Student made progress on each of his goals. 25. Student vaguely contended other goals were inappropriate because he either failed to make sufficient progress towards achieving them, or because the goals included skills that Student had already mastered before the development of the IEP. Student’s progress and the appropriateness of his goals were established by Ms. Geldore, Ms. Porter, and Patricia Strass (the behaviorist assigned to Student’s team), each of whom persuasively conveyed that Student made meaningful progress on each of his goals contained in his IEP, and that the goals were accurately based on Student’s then-present levels of performance. Their testimony was supported by documentary evidence and was not meaningfully brought into question at hearing. 26. For example, Student contended that his self-help goal should have been a toileting goal, and not the hand-washing goal contained in his IEP. The balance of the evidence showed that Student’s self-help goal was appropriate, as drafted. One of Student’s most problematic behaviors includes licking his hands and placing his hands and other items in his mouth. Consequently, necessary hygiene necessitates Student frequently wash his hands. Ms. Geldore’s testimony established that hand-washing was also used as a replacement behavior to Student’s constant hand-licking. Her testimony was persuasive because it is logical on both counts. Lastly, Student’s toileting needs were met through a routine classroom protocol. Ms. Geldore testified that while there were a few, isolated toileting mishaps when she was Student’s teacher, Ms. Broumas, Student’s current teacher, testified that since August 2011 that there have been no similar mishaps. Accordingly, Student’s hand-washing goal, and the lack of an explicit toileting goal, was appropriate to meet Student’s need in the area of self-help, despite Student’s contention to the contrary. 27. Finally, Student claims the IEP is inappropriate because it does not require District to provide what Parents described as ABA, but what is more accurately described as Discrete Trial Training (DTT).6 The evidence showed that Student received one-to-one DTT during a significant portion of his school day, as well as other ABA based methodologies provided on a one-to-one basis. The evidence showed a broader range of ABA methodologies, in addition to DTT, was appropriate to meet Student’s needs.7 No professional testified to the contrary. Student was not denied a FAPE because the IEP did not specify that he was to receive only DTT. 28. While Parents were generally satisfied with the terms of the February 28, 2011 IEP, as shown by their consent, they requested District to complete a more thorough evaluation of Student’s behaviors by completing a behavioral assessment. Ms. Geldore, Ms. Strass and Ms. Ota credibly testified that at the time of Parents’ request, they believed Student’s behavioral needs were accurately identified through the psycho-educational evaluation prepared prior to the development the February 27, 2011 IEP. However, in the spirit of cooperation, District agreed to conduct the more comprehensive behavioral assessment. The findings of this assessment were discussed at the April 27, 2011, IEP team meeting. 6 DTT is an ABA technique. DTT breaks down individual skills into smaller discrete tasks that help a student to learn the larger skill through repetition, which includes prompting and reinforcement. Student’s mother personally provided him with DTT when the family lived in India. At hearing, Parents stated that DTT was the only type of ABA service that they believed would provide Student with a FAPE. 7Ms. Geldore and the aides in the SDC are extensively trained in ABA principles. 30. Ms. Strass is a highly qualified behaviorist.8 She presented the findings of her Behavioral Assessment at the April 27, 2011 IEP team meeting. Other attendees at the meeting were Ms. Geldore and Parents. Ms. Strass’ report is detailed and thorough. In preparing her report, she observed Student in his classroom on three separate occasions, each observation lasting about an hour. She also conducted an extensive interview with Parents. Ms. Strass’ report is generally consistent with the observations made by members at Student’s first IEP team meeting and with the psycho-educational evaluation. At hearing, Ms. Strass persuasively defended her report. The accuracy and thoroughness of her findings were not seriously called into question. Accordingly, her assessment and testimony are given substantial weight here. 31. Disagreeing with Ms. Strass, Father stated at the meeting that he believed Student should be pulled out of the SDC to be given DTT by one-to-one aides assisting Student on a rotational basis throughout his regular school day, and also provided two additional hours of DTT after the school day ended. Parents testified at hearing that they believed District needed to provide Student a regimen of DTT similar to that previously provided by Mother. Ms. Strass persuasively testified that while Student needed some DTT, he did not need the intense level of DTT Parents requested. Rather, she opined Student’s needs would be better addressed in the Eisenhower SDC.9 DTT is individual instruction, and Ms. Strass credibly opined that Student needed the peer interaction related to the SDC placement, so Student could acquire much needed social skills, as the testing data established this was Student’s weakest area. Parents do not explain how their proposal that Student be isolated from his peers for so many hours in the school day can be reconciled with the requirement that Student be placed in the least restrictive environment (LRE) in which he can be satisfactorily educated. Furthermore, Ms. Strass did not believe the level of intervention requested by Parents was efficacious, and thought it could actually result in regression of Student’s behaviors, because eight to ten hours of DTT would simply be too intense. The soundness of Ms. Strass’ opinion was not seriously brought into dispute at hearing, and no countervailing expert opinion was provided. 8 Ms. Strass holds a master of arts in behavioral psychology. She previously resided in Argentina where she worked as a clinical psychologist. She currently oversees the District’s Comprehensive Autism Program, managing the behaviors of 150 children with special needs. 9 Eisenhower had five adult educators for nine students at the beginning of Student’s enrollment in December 2010, and by February 2011, the ratio had become five adults to eight students. Moreover, as Student’s needs were greater than were those of other students in the SDC, Student received one-to-one assistance through-out his entire school day. 32. Furthermore, Ms. Strass’ assessment notes that Parents reported behaviors of Student at home that were different from the behaviors Student exhibited at school. For example, Parents reported that Student frequently threw tantrums at home, yet this behavior was not reported by school staff or observed by Ms. Strass. In response, District proposed that a supervisor from the County Autism Program (CAP) could provide both Parents and Student’s classroom instructors training to ensure Student’s behavioral needs would be addressed consistently and uniformly across Student’s home and school environments. District offered to add weekly behavioral consultation for Student’s teachers and aides (two hours each month) and parent training (one hour per month over six successive months). This proposed plan was to remain in effect until February 28, 2012, at which time the IEP team would reconvene to assess how the plan was working. 33. Parents rejected District’s offer. Parents’ hand-written writing notes on the IEP state, in pertinent part: “This meeting did not address/meet [Student’s] needs. I totally disagreed [with] recommendation/observation. Need additional ABA after school hours for two hours.” Parents conveyed to the team, as well as in their testimony at hearing, that the “afterschool” request was made, in large part, so that they could have more time to tend to their other children. While Parent’s struggles in this regard are undoubtedly difficult, and their testimony on this point was compelling, the evidence did not establish that Student needed afterschool DTT to meet his educational needs. 34. In sum, Ms. Strass’s assessment was appropriately conducted, thus supporting the accuracy of her opinions expressed at hearing. The recommendations District made at Student’s April 27, 2011 IEP team meeting were appropriate, and had they been accepted, would have provided more than the floor of educational opportunity District was obligated to offer Student in order to provide him a FAPE. Student’s contention that he needed a series of one-to-one aides for upwards of eight to ten hours per day, administering exclusively DTT, is unpersuasive. 35. Similarly, Student’s contention that a one-to-one aide was needed in the April 27, 2011 IEP to provide for his safety is also unpersuasive because it is based on the same contentions previously discussed. 36. On June 2, 2011, the third IEP team meeting in as many months was held. At this meeting, Parents again asserted that Student needed a one-to-one aide for safety reasons. Their contention was based on the same contentions previously discussed. Accordingly, District’s refusal to provide Student with a one-to-one aide at this IEP team meeting did not result in Student being denied a FAPE. Nor did District’s refusal to Parents’ repeated request to provide Student with an after school aide deny him a FAPE. 8. As set forth in Factual Findings 3 through 17 and 31 and 33, and Legal Conclusions 1 through 7, District appropriately assessed, identified, and monitored Student’s safety needs. The one incident in which Student ran towards children playing on a swing at an adjacent park did not provide persuasive evidence that Student was in danger from eloping while at school. Furthermore, there was insufficient evidence to support that Student required a one-to-one aide to provide for his safety, particularly given the high staff-tostudent ratio in the SDC. 9. As set forth in Factual Findings 18 through 29, and Legal Conclusions 1 through 7, Student’s goals were appropriately developed at the February 28, 2011 IEP meeting based upon his then-present levels of performance and areas of need. He was given a comprehensive series of assessments that provided accurate assessment data from which Student’s goals were developed. Student made meaningful progress on all of his goals. 10. As set forth in Factual Findings 3 through 10 and 21 through 36, and Legal Conclusions 1 through 7, Student received sufficient and appropriate ABA services. ABA methodologies, including DTT, were used throughout Student’s school day that provided him with a FAPE in the LRE. There was no evidence showing that Student required additional ABA services in order to be provided a FAPE, and the amount and intensity of the ABA services Parents desired would have violated the requirement that Student be educated in the LRE. 11. As set forth in Factual Findings 21 through 36, and Legal Conclusions 1 through 7, Student did not require after school ABA services to meet his educational needs. Pursuant to California Education Code section 56507, subdivision (d), the Decision must indicate the extent to which each party has prevailed on each issue heard and decided. Here, the District prevailed on all issues.